PLEXIGLAS SOUNDSTOP® XT – extruded unreinforced acrylic sheets with a high level of transparency. PLEXIGLAS SOUNDSTOP® XT sheets are an ideal solution for transparent filling of noise abatement walls in places where this is required or constitutes an architectural treatment, among others, in the areas of buildings, street intersection for improved visibility etc. Colorless sheets are the most common. They are characterized by a total light transmission of 92%. 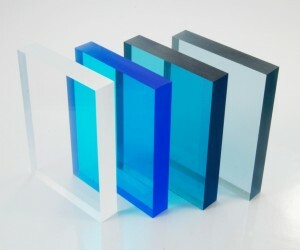 The manufacturer also has a wide range of transparent standard colors. Manufacture of sheets in a color other than the manufacturer’s – upon inquiry.